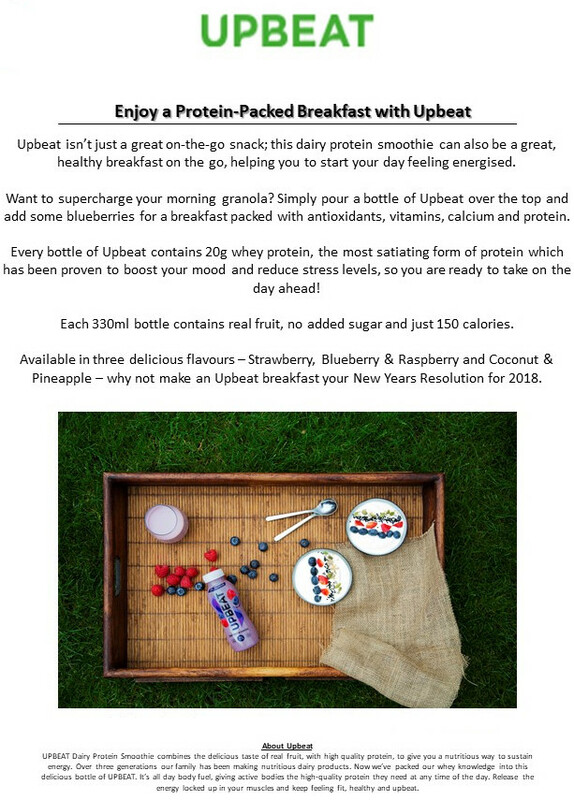 New Year Feature 2 & 2018 Essentials! Rules, Leisure, Technology & Travel! Homemade pancakes in an instant. The user simply adds flour, milk, eggs and sugar as per the measurements on the Miam pancake maker and shakes. And there’s no lumps thanks to the built-in steel blending sprial and no mess. The mix is then poured straight into the pan to fry and prep the perfect pancake. The MIAM makes up to 10 pancakes. Great for protein shakes on the go too! Claiming to be the best tool in the World for making a mojito, this new handy gadget by Cookut for 2018 crushes, grinds and measure all in one. A brilliant gifting solution for the cocktail lover, or a great tool to add into a personal mojito making collection. Based on biodegradable bamboo and corn, Zuperzozial is the original eco-friendly tableware collection. And this latest addition to the range allows budding bakers to measure with ease thanks to the noted measurement size in each cup: 60ml-80ml-120ml-240ml. Again, based on biodegradable bamboo and corn, this themed tableware guarantees to deliver an uplifting splash of colour at the table. 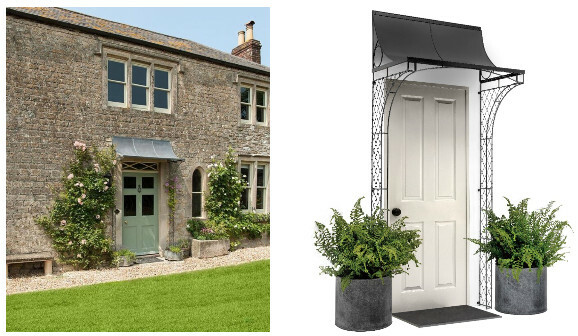 Ideal for al fresco dining, popping in the picnic bag, or storing in the caravan when heading down to the beach. This stuning carafe with removable spike to customise oil not only looks great, but is ideal for infusing too. The pouring lip is also 100% drip free for easy serving, whilst the flavours easily come alive with a simple shake to mix. MyFlavour adds a decorative touch to drinks on the go thanks to it’s removable spike to create aromatic flavourings such as lemon, mint or cucumber infusions. The bottle is made from BPA-free plastic, with a stainless steel lid and nylon strap – suitable for both hot and cold drinks. 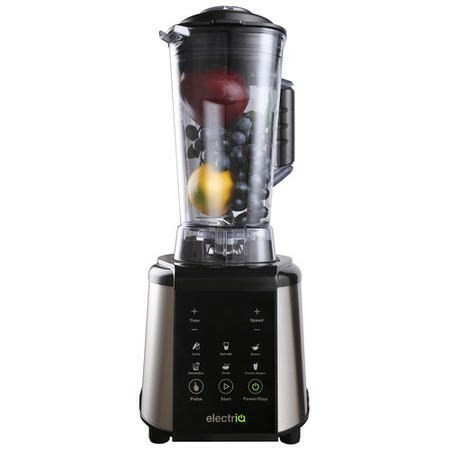 Made from glass with a smart silicone flip-top lid that prevents ice and fruit from splashing into a tumbler, the flip-top lid also stops spills thanks to it’s easy-pouring design. This stoneware themed serving set – with relief-patterned interior – is dishwasher safe and a surefire way to bring a smile to guests faces whilst serving dips, nibbles, or a show-stopping main course. These mouth-blown glasses are presented in a gorgeous oak storage box and are reversible, giving the option of two different serving sizes for some fun at the table – ideal for brandy, whiskey, sherry, port and even a shot of vodka if feeling adventurous! This rustic glass carafe with classic cork top will lift any setting and add a special touch of Scandinavian styling to any occasion. OPRO, the world’s largest manufacturer of the most technically advanced mouthguard, will launch its brand-new, innovative mouthguard at the largest sports trade exhibition in Europe, ISPO, running from Sunday January 28th to Wednesday January 31st. OPRO’s Power-Fit mouthguard will sit at the summit of their Self-Fit range, offering consumers the ultimate in self-fitting protection, comfort and retention. For OPRO, the official mouthguard partner of many professional sporting organisations, Power-Fit is an innovative and immediate solution for those looking for the protection levels of a custom fit mouthguard, with the ease of fitting a self-fit product via the boil and bite method. OPRO chairman and founder, Dr Anthony Lovat BDS, said: “We are delighted to be able to offer our customers the most advanced self-fit moutguard in the world, making the fit, protection and retention qualities of a custom-fit mouthguard available to them in this way. 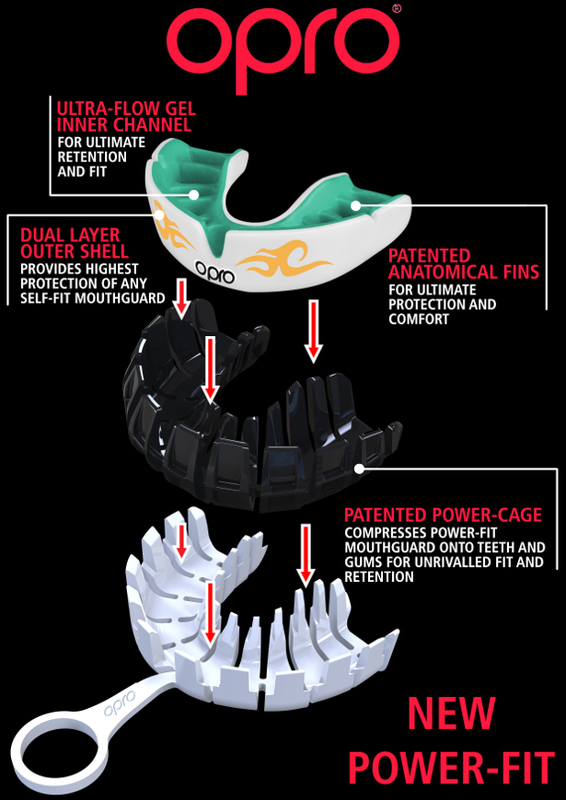 After years of research and development by OPRO, the introduction of the patented ‘Power Cage’ – the fitting device which applies perfectly balanced pressure over the entire surface of the mouthguard during the fitting process – provides phenomenal fit unlike any other self-fit mouthguard on the market today. The elements of Power-Fit’s unique design come together to produce optimum impact protection, flexibility, supreme comfort and a highly retentive fit that follows the position and contours of the teeth. Power-Fit is suitable for all contact sports, and as standard, both the mouthguard and case contain Biomaster, an additive which protects them from microbial growth. Did you know that people not taking their medications, or incorrectly, causes the death of 125,000 Americans each year and almost 700,000 of our family and friends go to the emergency room as a result. I have the story of two brothers whose father almost died as a result of not taking his meds correctly and they decided to create the world’s leading mobile app to solve this problem – Medisafe. Share an app and save a life. The New Year’s Resolution conversation of “How are you doing with your medications and your health?” is critical. Your audience has the ability to help their loved ones take their meds right, be an active part in that process and ensure that they share many, many more years of celebrations together. Medisafe empowers family and friends the ability to monitor how their loved ones are doing with their medication regiments, provides information to the patients’ physician and offers instruction on how different medications will interact and the expected side effects, a concern of so many people taking a complex number of medications. Medisafe’s platform – based on its smart phone app – as well as wearables and other avenues – addresses all major causes of non-adherence and is scalable with proven results (see below). It is tailor-made for the Boomer generation – tech savvy, massive and increasingly taking more medications. Medisafe® is the leading personalized mobile health platform for medication management with four million patient and caregiver registered users globally. Out of 318,000 health apps and 340 consumer wearable devices now available worldwide, Medisafe was recently named the “Top Publicly Available App for Medication Management.” by the prominent IQVIA Institute (formally the IMS Institute). To learn more about Medisafe, I would like to offer you the chance to speak with our CEO, Omri Shor to discuss the significance of how Medisafe is improving and saving lives around the world through innovation. .50cal coffee company do things a little differently and utilise their amazing coffee brand not only for the full on rich flavour it provides in the home, but also for the benefits it gives you when competing in sports as a pre workout. As a UK Military veteran, hence the name .50cal, and semi professional MMA fighter the inventor fully understood the need for hydration that the body requires during any long physical activity and that the boost a pre work out supplement can give is incredible. Bearing in mind also that the world of pre workout is a mine field. That is why .50cal use nothing, but the finest fresh Arabica coffee beans. This not only gives the best flavours and next to no bitterness it means that the caffeine shakes one would associate with the instant blends (made from Robusta coffee beans) is almost non existent a huge benefit when playing a high concentration sport such as Rugby. Fresh coffee also has huge health benefits such as, help to burn fat, make you smarter, improve physical performance, provide you with essential nutrients, lower the risk of type two diabetes and so many more. The fact that coffee is such a popular beverage, in the UK alone we consume some 55 million cups a day means that this is also great leverage to encourage those who are not into sports and fitness to get into sports and fitness and feel the benefits it gives. .50cal are already becoming recognised as the “champagne of the coffee world” and are truly setting standards for others to aspire to. .50cal now have the capabilities to cater for events, such as the Special Forces event on the welsh Mountain – Pen y fan which is run by Avalanche events and called The winter Fan Dance event, which saw over 400 people brave the cold temperatures and snow carrying large amounts of weight, just as the members of the UK special forces would. Most Athletes used us as not only a pre workout at the start, but as a welcomed warmer and recovery drink at the end. 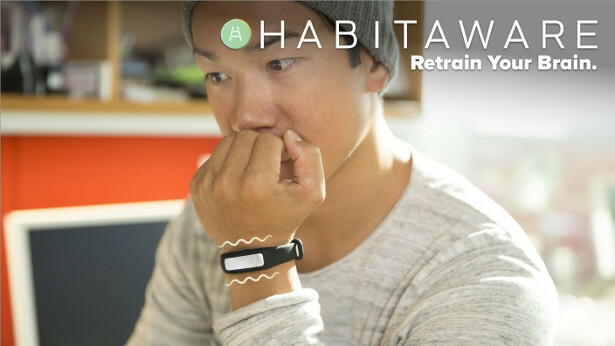 HabitAware make Keen (habitaware.com), a smart bracelet that helps people like me take control of unwanted behaviors – hair pulling, skin picking & nail biting. These mental health disorders are collectively known as body focused repetitive behaviors & negatively impact the lives of 30 Million Americans.. I myself am a hair puller of 20+ years, hiding since it began as a coping mechanism for my father’s battle with cancer. Until my husband caught me without eyebrows & we set out on a journey to make something that made me aware: Keen. We launched April 2017 and have been helping thousands take control using customized gesture detection (habitaware.com/reviews). Keen is trained using a mobile app for the specific behavior/motion and sends a vibration as a gentle reminder to move the hands away. With this awareness, our Keen family is retraining their brains to healthier habits and taking control of these debilitating disorders. LAS VEGAS – Jan. 9, 2018 – Humaneyes Technologies today at CES 2018 announced the launch of its next-generation VR, 3D 360 camera, the Vuze+ VR Camera. 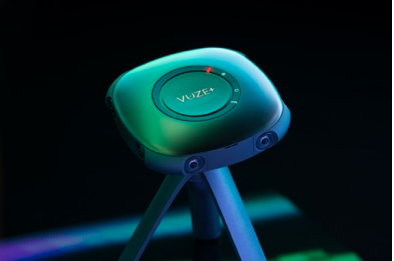 Targeted toward prosumers for $1,199, the Vuze+ VR Camera is the first camera to give VR content creators, filmmakers, and video and production industry pros the full suite of tools needed for capturing, producing and sharing VR content, all within one eco-system. The camera includes sophisticated capture functionality, such as live broadcasting and custom lenses for improved image quality, and is accompanied by Vuze VR Studio editing software, as well as access to Humaneyes Zone, an industry-first VR platform enabling users to host, stream and share VR content with anyone via a simple hyperlink. Live broadcasting, allowing anyone to live preview a scene while they are shooting video, as well as broadcast live 3D 360 4K video to Facebook, YouTube, Periscope and any RTMP platform. Live broadcasting capabilities can also be added to the original Vuze VR Camera for $199. Available now on PC, with Mac availability coming later this year. Enhanced capture features, including enhanced optics with custom lenses and improved audio with spatial audio output. IP65 capabilities, with higher water and dust protection, enabling users to shoot in heavier rain or while they’re participating in watersports. A sturdier body and enhanced user interface. The Vuze Camera App, which now enables full manual control and live preview, additional capture mode with 60 fps for 2D 360 videos, time lapse capabilities, new exposure settings, photo stitching from within the app and the ability to share a VR photo from the app directly to social networks such as Facebook and Instagram. Now available on Android, with iOS availability coming soon. Production features, including the Vuze VR Studio software, touting horizon stabilization, enhanced editing capabilities and more output formats. Five licenses are included with each camera. Sharing features, including the new Humaneyes Zone, an industry-first VR publishing and sharing platform based on VR website technology. The Humaneyes Zone is an industry-first open platform, which takes VR storytelling to the next level, providing an end-to-end solution for prosumers. The site enables anyone, without a need for a technical or programming knowledge, to quickly and easily create a VR website to showcase their VR content. On the webpage, users can incorporate images, videos and text, plus additional pages and interlink them, just like a regular website, allowing anyone to tell a story in VR, whether it’s a tour of an apartment, a training session, a wedding or just showcasing a vacation. With a simple hyperlink, users can easily share a VR website with anyone. The viewer can simply click a link and view the content in any browser, and for the best viewing experience, can use a VR headset with their phone. A free Humaneyes Zone branded website is available for any VR user for their first two months of use, and hosts up to 15 GB of content. After that, a user can sign-up for a Basic plan for $9.99/month or $99/year, which includes 5 GB of content with the Humaneyes branded domain; a Premium plan for $14.95/month or $149/year, which includes 15 GB of content and the Humaneyes branded domain; or a Pro plan for $19.95/month or $199/year which includes 30 GB of content and a custom branded domain. The Vuze+ VR Camera and new enhancements announced today will be available for demo at CES in LVCC South Hall 1 at the Humaneyes Technologies booth #21018. In addition, visitors can sit back and enjoy the Vuze Theatre, a lounge environment featuring ongoing screening of short VR films focusing on storytelling; walk-through the Vuze Experience Zone, an open environment taking each visitor through the entire Vuze journey of content creation, production and sharing; as well as hear from experts throughout the day on how to make money in VR with real use cases presented. For more information on the Vuze+ VR Camera or Vuze VR Camera, and to order, visit www.Vuze.Camera. 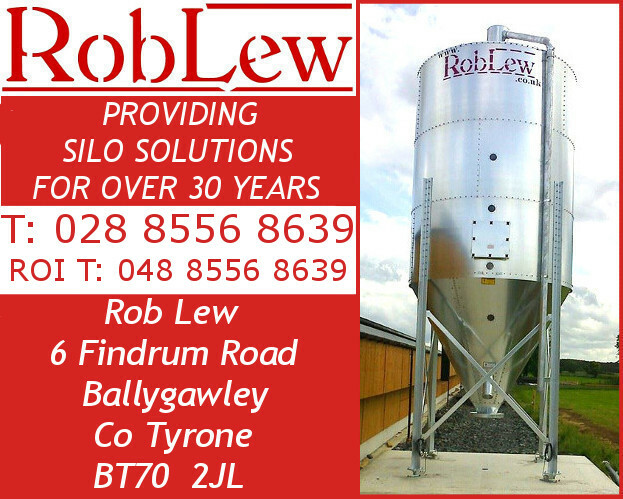 You can also follow the company on Facebook and Twitter. Creating fun for fitness in 2018 – Walkr from Fourdesire is a pedometer-driven game that encourages people to walk more. 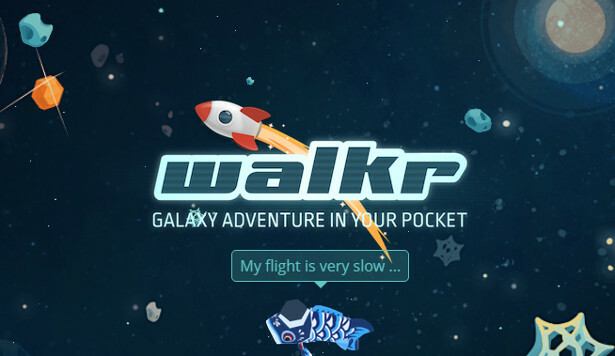 The app combines a smartphone’s pedometer with an otherworldly galaxy adventure game. Each “exploration” with Walkr provides a fun-filled experience that motivates people to keep on walking. Users can hop aboard the fantastic Walkr spaceship, join the group of millions of users over the world, and start your adventure across the boundless cosmos. With gamification features, it’s easy and fun to cultivate good habits. Perhaps make the New Year’s fitness resolution last a few months. Additionally, Walkr is an award-winning app. It was named a Best of 2014 App Store recipient as well as a winner of a Best of 2015 of Apple Watch App award along with a couple “Best Indie” app awards in 2015. Learn more at http://walkrgame.com/en/ ..
Milkhouse candles not only smell great and promote wellness, they are also made from simple ingredients: pure beeswax and natural soy wax from soybeans grown in America’s Midwest. No artificial dyes are added and there is no lead in the wicks. Smile Train Lilac Blossom CandleAdditionally, Milkhouse Candles will donate 100% of profits from each candle sold from the Smile Train Collection toSmile Train, a non-profit organization that provides free cleft-repair surgery and comprehensive cleft care to children in developing counties. 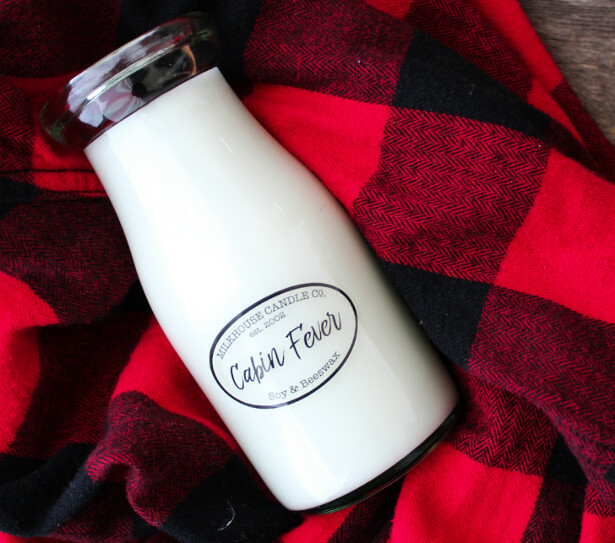 The collection includes the following scents: Citrus & Lavender, Roasted Espresso, Lilac Blossoms and Frasier Fir and one holiday scent, Victorian Christmas. Each candle costs $21.95. What better way to bring smiles and relaxation to your loved ones, other than giving the gift of a smile to a child in need! Smile Train provides free cleft surgery and comprehensive cleft care to children in developing countries. Through training local doctors and empowering partner hospitals around the world, we advance a sustainable solution and scalable model to treat clefts, drastically improving children’s lives, including their ability to eat, breathe, and speak over time. To learn more about how Smile Train’s sustainable approach means donations have both an immediate and long-term impact, please visitsmiletrain.org. Mental​ ​health​ ​is​ ​an​ ​issue​ ​that​ ​affects​ ​everyone.​ ​Even​ ​Princes​ ​William​ ​and​ ​Harry​ ​have​ ​been talking​ ​about​ ​the​ ​traumatic​ ​impact​ ​of​ ​the​ ​death​ ​of​ ​their​ ​mother,​ ​Princess​ ​Diana​ ​on​ ​their emotional​ ​wellbeing. Now,​ ​a​ ​new​ ​online​ ​tool​ ​for​ ​improving​ ​emotional​ ​wellbeing​ ​has​ ​been​ ​launched! The​ ​ShoomKloom​ ​website​ ​offers​ ​guided​ ​programmes​ ​on​ ​identifying​ ​and​ ​managing​ ​stress. The​ ​site​ ​was​ ​set​ ​up​ ​in​ ​response​ ​to​ ​the​ ​rise​ ​in​ ​mental​ ​health​ ​issues​ ​in​ ​the​ ​UK,​ ​particularly amongst​ ​young​ ​people​ ​and​ ​other​ ​vulnerable​ ​groups. Research​ ​by​ ​the​ ​Mental​ ​Health​ ​Foundation​ ​in​ ​2017​ ​found​ ​that​ ​65%​ ​of​ ​people​ ​have experienced​ ​a​ ​mental​ ​health​ ​problem.​ ​This​ ​rises​ ​to​ ​7​ ​in​ ​every​ ​10​ ​in​ ​more​ ​‘at​ ​risk’ demographics​ ​such​ ​as​ ​young​ ​adults​ ​and​ ​those​ ​living​ ​alone.​ ​In​ ​fact,​ ​only​ ​13%​ ​reported​ ​high levels​ ​of​ ​positive​ ​mental​ ​health​ ​with​ ​more​ ​than​ ​4​ ​in​ ​10​ ​people​ ​saying​ ​that​ ​they​ ​have experienced​ ​depression. Courses​ ​come​ ​in​ ​monthly​ ​modules​ ​and​ ​are​ ​run​ ​by​ ​a​ ​team​ ​of​ ​teachers​ ​who​ ​have​ ​their background​ ​in​ ​therapy,​ ​business,​ ​medicine​ ​and​ ​mindfulness.​ ​They​ ​are​ ​ directed​ ​by​ ​​Dr.​ ​Alina Ghidion,​ ​an​ ​expert​ ​in​ ​ShoomKloom’s​ ​stress​ ​relief​ ​work​ ​who​ ​offers​ ​all​ ​medical,​ ​mental​ ​health and​ ​addictions​ ​support​ ​needed. Courses​ ​are​ ​offered​ ​on​ ​specific​ ​topics​ ​such​ ​as​ ​OCD,​ ​phobias,​ ​anxiety;​ ​relationship,​ ​love sexuality​ ​and​ ​money​ ​emotion. “The​ ​idea​ ​is​ ​to​ ​put​ ​people​ ​in​ ​control​ ​of​ ​their​ ​stress​ ​and​ ​empower​ ​them​ ​to​ ​make​ ​the​ ​right choices​ ​for​ ​their​ ​mental​ ​health​ ​by​ ​offering​ ​tailor​ ​made​ ​solutions​ ​as​ ​well​ ​as​ ​a​ ​support​ ​system,” adds​ ​Nele. Courses​ ​start​ ​in​ ​the​ ​first​ ​week​ ​of​ ​each​ ​month.​ ​For​ ​more​ ​information,​ ​visit www.shoomkloom.com​. Los Angeles, CA—-January 8, 2018— Organizers of the Whole Life Challenge (WLC), a fast-growing, global online health and fitness challenge, will begin the 6-week New Year’s Challenge on January 20, 2018. The WLC, which turns healthy habits and well-being practices into a community-driven game, is expected to attract over 75,000 participants through their four Challenges this coming year. The registration price for the Challenge is $49, with new early registration players receiving a 20% discount ($39 entry) and returning players receiving a 40% discount ($29 entry) for registering prior to January 3, 2018. Register to join the Whole Life Challenge at https://www.wholelifechallenge.com/join-the-challenge. For those who are making a New Year’s Resolution to be committed to a healthy lifestyle, the Whole Life Challenge offers three levels of play (Kick-Start, Lifestyle and Performance), each addressing the needs of players starting at different player starting points. There are also vegetarian options for each level. Outside Magazine recently joined the Whole Life Challenge, utilizing the game as their corporate wellness program, as well as inviting their readers to join them in the Challenge. Andy Petranek and Michael Stanwyck, sat down with Outside editor Chris Keyes to discuss the problem with diets, the power of community, and how small lifestyle tweaks can add up to big change — and if you’re looking to better understand the history and aims of the Whole Life Challenge, their conversation is a must-listen. 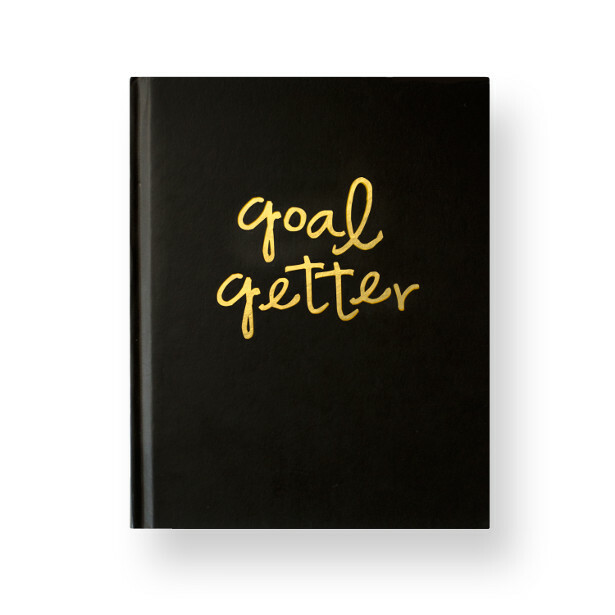 As you know, New Years is the best time to pull out a fresh new day planner and start planning a fresh new you. To kick off 2018, we’re ringing it in with a focus on wellness and self-improvement — let’s be the best, most fearless versions of ourselves. First thing on the agenda? Resolutions. “In every life phase, you’ll be confronted with something that scares you. You have to go into it being as fearless as you can. Think about what you want to get out of the year, and the adjustments you need to make to get it. 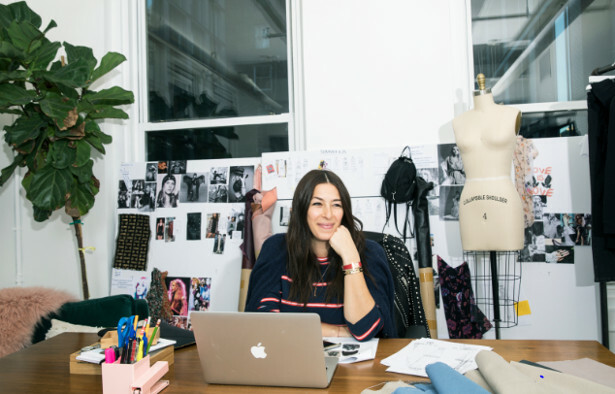 Remember it’s not always easy, but if you take on your challenges with a fearless perspective, you’ll go farther and feel better than you thought possible,” Rebecca Minkoff, Co-Founder and Creative Director. In the spirit of goal setting, I would like to share Rebecca’s three boxes she plans on checking off this year. I noticed you are compiling a New Year health and wellness feature, including health, fitness & fashion, so thought this would be perfect for you to include in your coverage on InTouch Rugby. (Photography credit: courtesy of Rebecca Minkoff). All of us know someone who takes on a lot of stress and anxiety. More often than not, this is someone close… someone, we wish we could help but we often don’t know what to do. A gift for this certain someone is Airo. Airo is an axiety tracker and and it’s selling like hot cakes! It has been featured by TeenVogue, Bustle, Record, and Techcrunch. It has >280 shares on Dose Facebook. 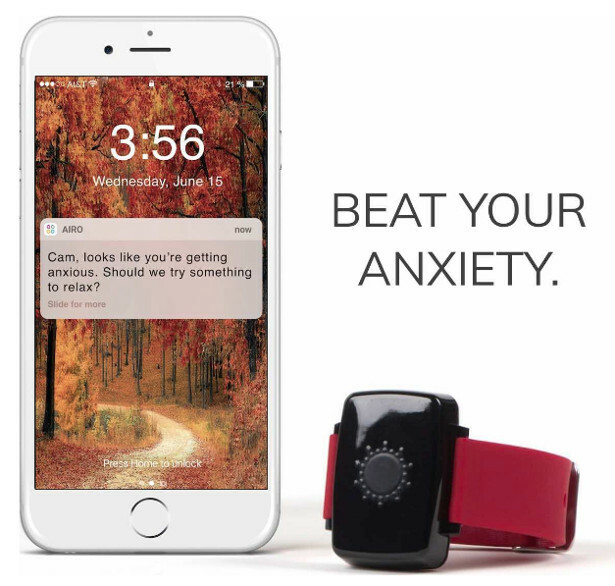 It gives you back the control of your life, and it lets you objectively measure your anxiety so no one can say “it’s not real” or “just get over it”. It’s the perfect gift for not just the sufferer but also their loved ones. This is deeply thoughtful gift for the worrier in the relationship. It also lets other family members look at his data to understand if now is the right time for a chat or not! Our 160 users love it, one even sent in a blog post. Price: $199 including tax + shipping. There are usually discounts on the website. 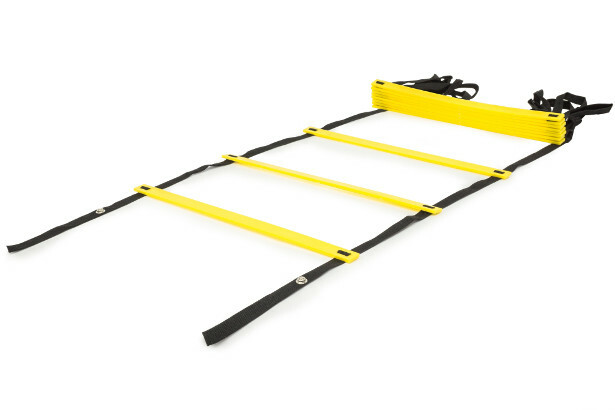 Speed Agility Ladder – comes in 3 sizes (8, 12, and 20 rung). The abiliity to perform multi-directional training helps with overall mobility and injury prevention. Flat rungs are safer than tube versions, in case a player misses the box during a drill. Regular use aids in cardiovascular conditioning and weight loss due to the high intensity and calorie-burn. Best of all, they make workouts fun and engaging for anyone from children to older adults. 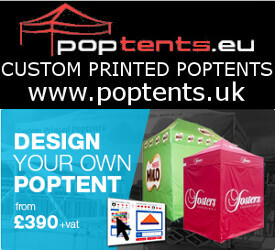 The convenient roll-up design is compact and comes in a carrying bag for easy transport for use in a gym or outdoors. It’s that time of year when everyone is talking about New Year’s resolutions. And the most popular ones are lose weight or get more active. Gyms get busy and runners take to the streets, but we all know that the once February comes, those extra people in the gym will have faded away, and only the hardy will remain. Why is that? Well in my experience as a Transformational Coach it’s because we are being over ambitious. We want to go from couch potato to super active daily sports person overnight….and it simply isn’t realistic. Doing this leads to physical injury and mental injury when our inner critic kicks in to berate us for not doing what we said we would. Start small. One way to do this is to reinstate something you already know you can do, and start gently, not from where you left off! Be consistent. Give yourself 30 days to do the same thing every day. Making a commitment like this that is 100% doable means that you are more likely to honour it, will be proud of yourself when you do. Schedule it. Commit to 15 minutes a day by blocking it off in your diary as non-negotiable and don’t go to bed until it is done. You will likely start doing your goal earlier in the day as time goes on, and allow overrun when your body desires it. Instead of leading you to fail, these steps will give you the chance to over deliver. Begin a new soundtrack in your head that sounds like ‘you CAN do it’, rather than provide fodder for, ‘you haven’t done it again’….’typical’. 15 minutes every day – that’s all it takes to embrace or reinstate a habit. In the wake of MP’s calling for levies on plastic bottles, reusable products have become more important than ever before, and with stylish options such as Stay Sixty…why wouldn’t YOU be kinder to the environment? Stay Sixty – a beautifully crafted and sustainable steel water bottle launched recently, aiming to tackle plastic wastage with innovative design that sets the brand apart in a crowded market place. Stay Sixty bottles have a removeable compartment, which solves the common issue of cleaning reusable bottles by making the entire container easily accessible. The design feature showcases the very best of effective design, while also looking quite fabulous. 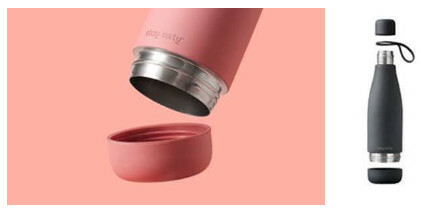 Stay Sixty® is a beautifully crafted, reusable, water bottle. Designed in Dalston, London with registered designs and nominated for the A’design Green Award 2018. Each bottle is ideal for water, smoothies, nutrition drinks and juices. The NEW Dear by Renée® Youth Hydra Serum is a premium serum that permeates the skin and addresses aging where it begins. 10% Hyaluronic Acid with Caviar helps to replenish the moisture content of aging and environmentally damaged skin, restoring a youthful radiance and smoothing the appearance of fine lines. • Clinical studies show the Serum promotes keratinization, increases elastin, and the Low Molecular Weight Hyaluronic Acid is 17% more effective than traditional hyaluronic acid. • Caviar, an expensive anti-aging ingredient, heals and prevents cellular inflammation and works alongside the skin’s natural processes, stimulating collagen production and minimizing surface wrinkles. Take away the mystery of your brain for under $20! In this course, you will learn about the Resilient Mindset Model, which draws on the latest research in neuroscience and education to make brain science easy to understand and apply to all asects of life. 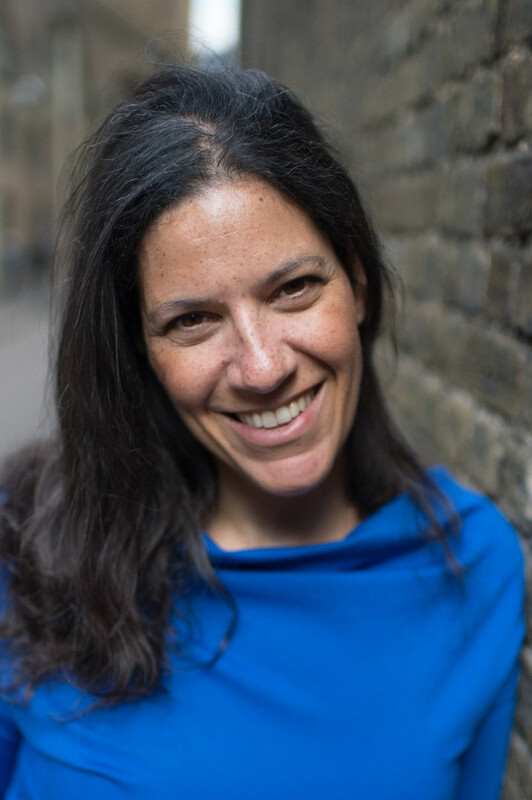 Whether you are a parent, educator, mental health professional or corporate leader, this model will give you a simple framework for understanding how to build more resilient brain pathways. The Resilient Mindset Model has three main parts: The Four Ss of Resilience, The Four Characters of the Brain, and REACTS, which is an acrolym for the social threats and rewards to the brain. The idea behind the model is that by becoming consciously aware of what is happening in the brain, we are empowered to make more mindful, intentional choices. 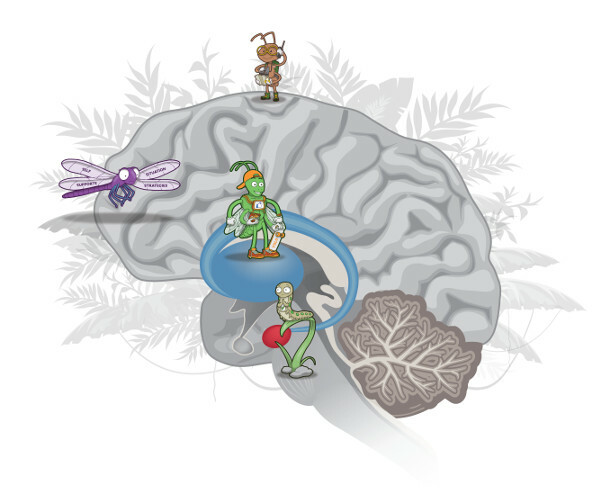 Created by an educator, Donna Volpitta, Ed.D., a neuroscientist, Princy Quadros Mennella, Ph.D. and a designer, Dian Wessels, this model uses four characters to illustrate different brain areas and functions. This is the most convenient learning platform ever. This 10-day course will be sent via text or email through daily, 3-minute video lessons, to be watched whenever and wherever you want. It just could not be more simple (and brain-friendly!). Here is the link to register: https://cfrl.conveyour.com/c/9l8xyr5tlz/resilient-mindset-model-course. If you have any questions, please feel free to call me at 203-247-4198. In a recent study conducted by OmniPoll for Me AfterWork, 22% of Australian Adults described their current general feeling towards life as ‘Struggling’, whilst 21% answered ‘Satisfied’. That translates to 1 in 5 Australian Adults describing their general feeling towards life as ‘Struggling’. Males tend to be more satisfied (23%) than Struggling (18%) and females are more Struggling (25%) than satisfied (19%). • The 65+ year old age group over indexed on ‘satisfied’ (65%) and under indexed on struggling (11%). • The 50-64 year age over indexed on struggling (28%) • SA/NT over indexed on ‘struggling’ (44%). • The College or Apprenticeship Educated Group over indexed on ‘satisfied’ (30%). “Struggling is an honest statement about how a lot people feel about their lives. People also tend to be struggling in more than one area. A new year is always a good time of the year for reflection. What do you want to bring forward into 2018? Remember to give yourself some time and space to think about how you can find more alignment in your life – with who you are and what you are doing”. – Babette Bensoussan, Business Executive Coach, Speaker, Author. Me Afterwork is holding a 2-Day workshop to help people reduce their struggles and bring more satisfaction. DAY 1: You will hear from a panel of esteemed speakers on topics ranging from Financial Abundance, Career Transformation, Leadership and Energy is Everything. DAY 2: This day is all about putting what we’ve learned on Day 1 into practice through some serious workshopping. Where you leave with your 2018 plan. Following the live draw for the Australian Open, where reigning champion Roger Federer will be gunning for a historic 20th Grand Slam, the boffins at FreeSuperTips have looked at the specifics of the Swiss’ salary to visualise the incredible sums that the World Number 2 earns every year. In 2017, Federer earned just over £47 million, with 90% of that income coming from lucrative endorsement deals and merchandise. Since there are no signs of those deals winding down even after retirement, he currently stands to become a Tennis billionaire in just 20 years time – and that’s without having to open a bank like Ian Tiriac! To highlight just how incredible Federer’s earnings are, it takes him a mere 5 hours, 3 minutes and 41 seconds (or one match with Nadal) to make the average UK salary of £27,600. Future of Fitness: What’s going to be big in 2018…and 2028? Heart rate monitors and aerial yoga are so 2017… PureGym has delved into the world of patents to discover some of the most interesting products pending within the fitness world. Under Armour: chemical-releasing clothing that releases therapeutically effective chemicals such as Magnesium, which is believed to be beneficial in regulating heart rhythm and reducing blood pressure. Bioventures: Anti-aging muscle-boosting supplements that use amino acids to stimulate muscle protein. Robert Magrino and Bernadette D’souza: underwater punch bag that showcases the physical benefits of exercising in water. Nike: Sports bra that is easier to put on and take off, adding an extra level of flexibility. For decades, doctors and scientists have relied on pencil-and-paper tests to measure brain health. But modern technology enables us to bring these tests into the 21st century and offer people everywhere easy, affordable access to their brain health from wherever they are. Backed by 20 years of research conducted at the Eagleman Neuroscience Laboratory at Baylor College of Medicine, BrainCheck turns well-established neurocognitive tests into interactive mobile games, offering athletic trainers and families a snapshot of an athlete’s cognitive health at any time. BrainCheck’s goal is to help people of all ages understand what’s happening in their brain, while improving concussion and dementia care along the way. 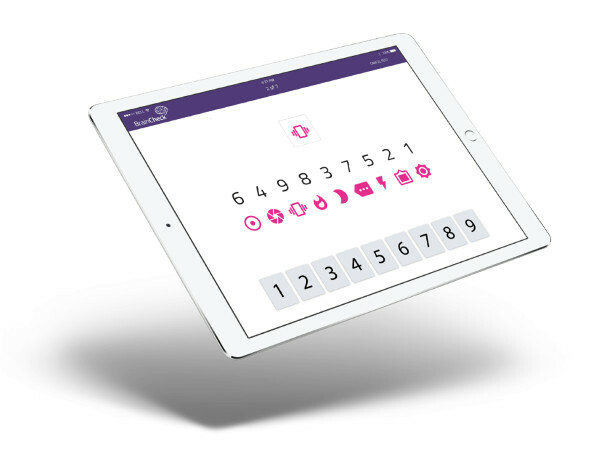 With BrainCheck’s easy-to-use interactive tests, users can assess their brain health on an iPad, iPhone or computer and receive results on the spot. In less than 10 minutes, BrainCheck assesses multiple cognitive domains, and results can be shared (in a HIPAA-compliant manner) among a person’s care team — individuals, family members, athletic trainers, coaches and physicians. All too often, people don’t realize that they have cognitive impairment until it has progressed to the advanced stages. We get everyone on the same page and facilitate collaboration on brain health so that people can be aware of changes early and track progress over time. BrainCheck is available on iPhone, iPad and desktop, in English and Spanish. The app can be downloaded for free on the App Store, with premium plans available for families and organizations.